To finish off my "We Come in Peace" escapades comes the latest instalments of Orange Group Results. Sunday saw our 14 years and Opens perform with acclaim. Another early start and we were at the venue by 8am. The girls performed "A New Day" and it was just beautiful! I cried- this is the best you have ever danced it! Your wonder didn't translate into a place but it was a strong and beautiful section. Still, you were winners in my eyes with your breath taking and emotional performance. Our next section was 14 yrs Contemporary and also our farewell to Clowns- a much loved routine!! You gave it once again your all and it was a fitting farewell. This was also the moment we discovered we had inadvertedly found ourself in the line of fire for a breach of rules. Orange is our last Eisteddfod for the season and after having competed elsewhere we weren't aware that we were unable to enter 3 groups in the one section. Sadly, it seems, a fellow dance school decided to protest this. Each to their own, I say, it's not the way we choose to conduct ourselves but still, appreciate that they obviously felt strongly enough about it to vocalise it! Let me take this opportunity to apologise and say that we meant no harm and that it was totally unintentional. Yet, Stepping Out rose to the occasion and once again we witnessed the amazing spirit of our students and their families. It is in moments of this that we are so proud of our students and are very grateful that they handled it all with such style and grace. The only validation they needed was Leesa, Emma and myself's words that they had blown us away and their own feelings that they had done themselves, their studio and their families proud. Still, two Highly Commendeds later and a Peace Train critique that reads like a dream, we walked away triumphant. This was confirmed in a jaw dropping performance in 14 years Jazz. WOW!! A huge 94 and 2nd place in a tough field of competition. Opens danced amazingly and I received text updates from many informing me of their excellence. Well Done to Orange Stepping Outers who proved they are a force to be reckoned with and more importantly a really great bunch of girls. Congrats to Open Modern ( I hear there were tears in the audience) with a 3rd place in an outstanding and large section and the mighty Open Jazz who again in an amazing field received a highly Commended. Thanks to all the families and fans who supported our big group weekend of competition. It really is a big team effort! Stay tuned for Solo results for the 12 yrs and above sections! I will require sleep in the meantime. "Above all watch with glittering eyes the whole world around you, because the geratest secrets are always hidden in the most unlikely places. Those who don't believe in magic will never find it." PART 2- We Come in Peace! GROUP WEEKEND! So this trip is initially marred by a flat tyre but would it dampen my spirits!! Ummmmmm No, but did it eat into bank balance, yes? !I won't bore you with the details because let's face it, all of our Performance mothers stupid enough to stand next to me momentarily on Friday night heard my car woes, I don't know how many times! Thanks Ladies, but yes, I managed to board all 5 children ( for those of you doing the maths- no David did not accompany us but Evan Jerome did), costume boxes and god knows how many stuffed animals and unfinished assignments! We made it to Orange and lunched with Gail, Leesa & my little man Phoenix. We had a chamapagne (medicinal purposes and got cracking on our next BIG PROJECT!!). I then whisked Onny away to get her ready to meet her team mates for Friday night fun! Thanks to Reggie & Sonya and their troops who entertained my boys back at the motel. I have to say, I genuinely am so blessed to work alongside the people I do and Friday night was just amazing! Congratulations to Under 8s Jazz- H.C, ( we love our little divas) and to the routine that had me on my knees- our Under 10 ballet! ARGHHHHHHHHHHHHHHH- I watched on monitor like crazy woman having randomn outbursts of "PERFECT!" "PERFECT! "- wow girls, wow, you were so great and received 2nd place in a tough field!! I was so happy! Our little Under 8s were constantly swarmed by admirerers in their tutus- not surprising when you consider just how beautiful they are! Favourite moment was when one of our fellow competitors ( a very theatrical one at that) came up to our girls and did this big jaw drop and finger point! Our girls looked horrified- I was like no, don't worry, it's love- she is awestruck by you! They look beautiful i said- little girl- with mouth more open than Mccauley Kulkin in Home Alone just nodded in agreement! yes, our little dolls got a H.c followed by yet another H.C for Under 10 Modern! Divine! An early start the next morning ( after I had decided at 10pm to text team with new hair idea) as i watched So You Think You Can dance meant we were at theatre by 8am and looking gorgeous! All of our hard work on our 12 yrs Contemp had paid off- yes girls, I saw light, I saw shade, i felt your story and we whooped with joy with a tremendous 2nd place! Our Under 10s- WOW! !- Miss Emma- Miss EJDJ has created like a mini band of her- tiny little sassy divas who just shone and again took out a prestigious 2nd place in a tough field!Leesa, Em and myself as well as alot of Stepping Out fans were in the audience for Brandi's & Anthony's duo......yay....a first!Great recovery Anthony!Our Under 12s though a team member down were incredible and got a H.C and followed this up with another 2 H.Cs in Under 12 Modern. Incredible! Here Comes the Sun and Tiny dancer were just beautiful! It was a long but awe inspiring day! OK, I have somewhat rested and am now ready to divulge the explosive truths behind the Stepping Out Orange Eisteddfod experience! The first week of the Eisteddfod saw our lovely junior soloists take to the stage and many a text update beep my way courtesy of Darienne & Miss Leesa! Facts I learnt Week 1, adjudicator was great! ( we had just had a doozy at Wellington Eisteddfod but thankfully this wonderful lady believed in encouraging our little ones and giving detailed and constructive critiques! Thankyou!!) A fact that was reinforced to me was that Stepping Out soloists rock!! A big aim at Stepping Out is that we better every performance we make- we aren't about places as such but just soaring higher every time we grace the stage! We love to improve with each step!! This is in itself our biggest reward! We know when we have done our best and so I am very proud to report that every Stepping Out soloist did just that! !Our congratulations to Jade Bunt ( not Blunt as reported in program ahahahaha) with a 1st in 8 years & U Jazz, 3rd in 8 yrs & U Classical and 3rd in 8 yrs Demi Character! Holly Keizer, 2nd in 8 yrs & U Jazz ( holly is after all 6!! 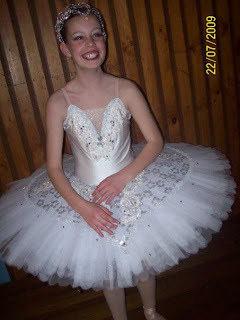 Whoo go Holly) and a beautiful performance in her Classical! Darienne tells me Holly even attempted own choreography in this one- LOVE IT! Brinley Catto ( we just got home from your birthday party!!Yay!) got 3rd for her 6 yrs & U jazz and 3rd for her Ballet solo! Well Done! A big WOW to Meg Keizer for amazing performances and a H.C in her Jazz Solo. Meg also did a brilliant job of her Tap, Classical & Modern solos. Likewise, little Georgia Erskine wowed everyone with best ever performances in her Jazz & Classical! There were tears! Never tame it down Georgie! GO FOR IT! Well done to yet another talented little Stepping Outer, Emma Blake who also wowed everyone with her delightful Jazz!Yet another sensational performance by Millie Rice in her Jazz Solo! WOW! GO MIL!Amber Bunt got 2nd in her Tap solo!! yes people, this was all in the first week! ARGHHHHHHHHHHHHHHHHHHHHHHHHHHHHHHHHHHH- stay tuned people! In but a matter of days Stepping Out will be making two huge announcements! Ok so one is really only our Concert Theme but rest assured, it's Ben Hur Big and the other one, well the other one, I can't even believe! I keep on pinching myself, throwing water across my weary face, texting Miss Leesa.......is it a dream? If so, I don't want to wake up! Sure, I am delirious, but it seems, something is brewing on the Factory Floor......and you will love it! 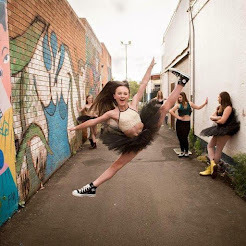 I see many gravity defying leaps into the air in sheer joy and excitement happening in our studios in Dubbo, Orange & Forbes! Don't worry the definitive Orange Eisteddfod update will be coming your way soon. I know we have many a fan waiting anxiously for this update!! So much to share! All the excitement and drama and behind the scenes exclusives! !I just had to pop in and say HELLO and Well Done- if you were in the audience you will know what I am talking about!! Stepping Out were incredible! Best performances of the year! We had some amazing competition from the other dance schools and it was an absolute pleasure to be in the company of such wonderful performers. For those who extended their brilliance with equally dazzling off stage behaviour and friendliness- a big thank you! (I loved seeing our students with friends from other studios sharing in their joy of dance!!) Check back soon, I have alot to share! Great Results from Wello! I will do my best to remember them all- let me know I have missed one of you! I just can't keep up with you all! Holly Keizer- 2nd in 6 yrs Classical, H.C- 6 years Jazz, Brinley Catto- 3rd 6 years Classical, H.C - 6 years Jazz, Ondine Slack-Smith- beautiful performances in your first Open Under 8s performance (mummy has never seen you dance so well), Meg Keizer- awesome first tap solo, 3rd- Under 10s Modern, stunning performances in Classical & Jazz, Georgia Erskine- you just keep on improving with each step up on that stage! Go Georgia! !, Jade Bunt- 3 beautiful performances, Kacey Krisante- an amazing first Impro- watch out!! awesome jazz solo, Imogen Slack-Smith- 1st Under 10s Modern, 2nd Under 10s Demi, 2nd Under 10 Jazz (go Immy you were on fire), Emma Blake- fabulous Jazz solo, Georgina Dickerson-2nd in Under 12 jazz, beautiful Modern solo, Maggie Beach- 1st Under 12 Jazz (whoo), Amber Bunt- H.c Under 12 tap, 1st Under 12 Jazz, beautiful performances in Classical, Modern & Demi Character. Courtney Hart- 2nd in Under 12s Contemporary and 3rd in Modern Championship. Amazing performances in all of her sections. Paris Burns- 3rd in Classical Championship! So exciting- this was Paris's first ballet en pointe' and it was stunning! !Stunning in all of her sections! Melissa McDonald- 3rd in Modern Impro, 2nd in duo with Abbie Schofield, Anthony Bartley & Brandi McGuire- not only did you get the lift but they also won 1st! (Yay), Brandi McGuire- 2nd in Under 12 s jazz, 1st in Under 12 Entertainment, 3rd in Under 12 Modern Impro, 3rd in Under 12 Contemporary Impro,awesome performances in all other sections and of course recipient of MOST PROMISING TROPHY! Bec Richardson did a beautiful job of her Modern Solo as always. Phew I am exhausted from listing all of these results! Just about to get ready to pick up car for Road trip to Orange!! The pilgrimmage to Orange starts tomorrow! Good Luck Everyone! Whoo- last Eisteddfod for the season! I am pumped! I have the whole crazy entourage accompanying me for the voyage and we are so excited! Stay tuned for fantastic news from Orange solo participants and of course news of our awe inspiring routines this weekend. You looked so great in class people! Can't wait to catch up with our Forbes & Orange friends- yes Phoenix, I have missed you two! Look in on us next week- I am sure I will have many a tale to tell. Wellington has come and gone in an absolute blur! I am now but a night away from Orange Eisteddfod! (Don't ask me about the day I have had in getting car road worthy for the enterprise!! MAN!! What a day!) Still, lucky I am a glass half full kind of girl or I would be lamenting this while waiting for roadside assistance. 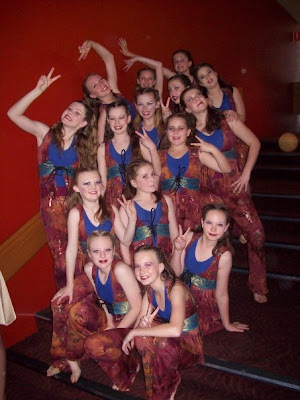 We enjoyed Wellington Eisteddfod last week and I was delighted to have seen so many of our kids lighting up the stage! WELL DONE to Holly Keizer, Brinley Catto, Ondine Slack-Smith, Jade Bunt, Kacey Krisante, Meg Keizer, Georgia Erskine, Imogen Slack-Smith, Courtney Hart, Emma Blake, Maggie Beach, Brandi McGuire, Paris Burns, Anthony Bartley, Bec Richardson, Abbie Scofield, Lissy McDonald, Amber Bunt, Millie Rice, (have I left any out? ?its late and I have had a horror day people). I will post all results ASAP but phone has beeped constantly ( thankyou Darienne) with news of great tidings from both Wellington & Orange Eisteddfods! Darienne also really helped me out with my Immy so an extra big thank you for being such an amazing supporter of Stepping Out kids. (and especially with your support of my little superstar while I taught all the other little superstars)Congratulations Everyone! MASSIVE CONGRATULATIONS TO BRANDI FOR BEING CHOSEN AS THE RECIPIENT OF MOST PROMISING RESTRICTED DANCER 12YRS & UNDER. Well what a whirl wind we find ourselves tossed in on this adventure of life! 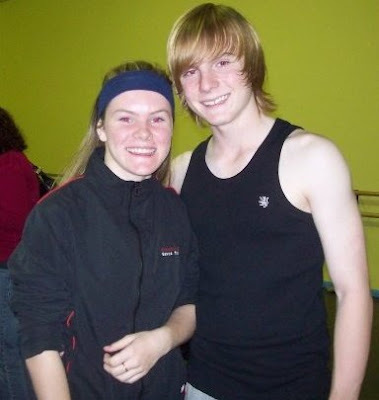 It seems that I thought I had posted pics of our SYTYCD workshop but upon logging on to update, ie. WELLO & ORANGE EISTEDDFODS I was most aghast to discover, NO! So here I am, in the midst of packing for our 3 day adventure to Orange Eisteddfod, madly trying to update you all on the latest from the factory floor! Check out our pics from workshop courtesy of Deb Crisante! We were all very fortunate today to be a part of the SYTYCD workshop held in Dubbo with Amy, Tim-o-matic and Charlie! I have lots of pics to put up but just had to get on to say, all the kids I spoke to had an absolute amazing time. 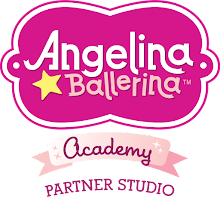 They are all SO inspired and enjoyed dancing with kids from other dance studios in this wonderful opportunity. A big thank you to the talented trio for letting their light shine on all of our kids and for their graciousness during the meet and greet session. We got great photos! (Thanks Deb!) Cale is home now, Jackson 5 blaring, shaking, gyrating and a total dancing maniac............. and all he did was get his photo with Charlie! I can only imagine the influence the 3 of them have had on kids who actually took class. My girls gave me a bit of a demo on our trampoline come stage. Anyway, hang out for the pics! Coming your way soon! Oh and to all our students, I am as always humbled by your fantastic ways...you are such an enthusiastic, friendly and great bunch of people. Today, as in all days, I was very proud!